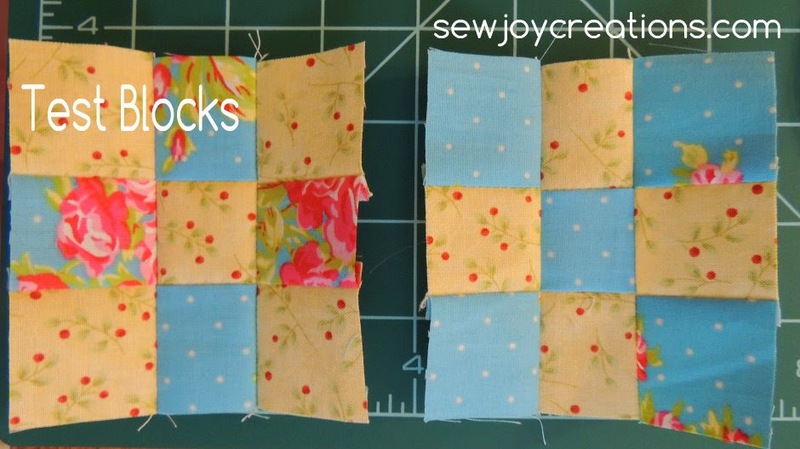 fun, quick way to make nine patch squares. 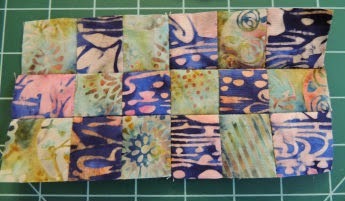 The block is only 3 inches square when finished! 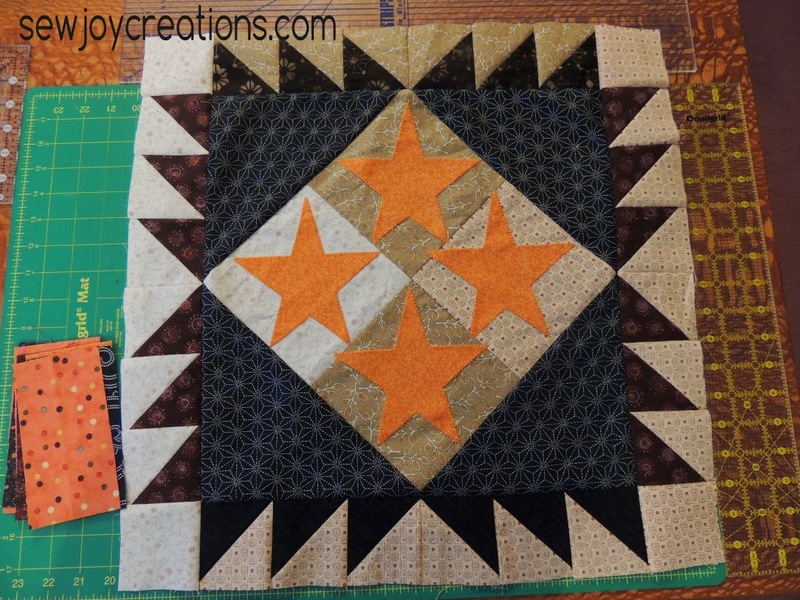 I did complete another Halloween 1904 block (my #5). I just need to add its border on (the rectangle bricks you can see on the right). But the batiks are charming me! 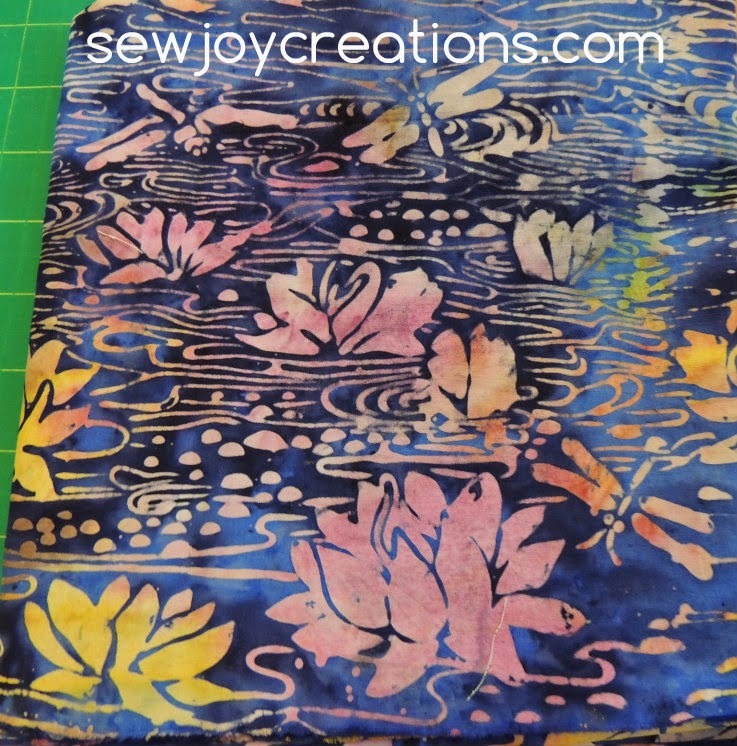 So far I've cut three 4 1/2 inch strips off of this 2 yard piece of batik that I bought a few years ago now. The batik has me mesmerized with what the colours do - how they fade, change, darken as you look around the one piece of fabric. Maybe that's the magic - that one piece of fabric can do what a whole quilt usually does - pull you in to savour every inch of it! The tutorial results in making 2 nine patch blocks at the same time that are opposite each other. Again, look at how much there is to see in the fabric! I've been thinking a lot about colour this week too. I read this neat article by Maria Elkins (now I know who she is!) over at this site and learned about a new to me color theory - Munsell color theory. Have you heard of it? There's also a new modern quilting technique book out. So far the blog 'press' about the book has focussed on the first chapter of the book, color. 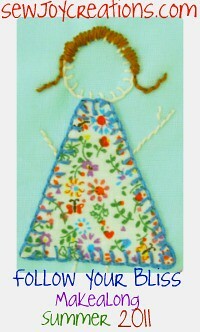 Here's a good review article on the Sew, Mama Sew blog about the chapter and its take on color. What do you think? 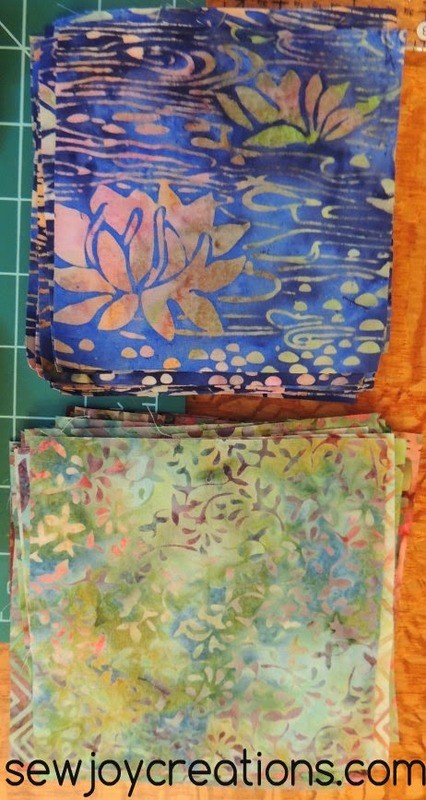 Would you be interested in a course - or series of workshops - or? 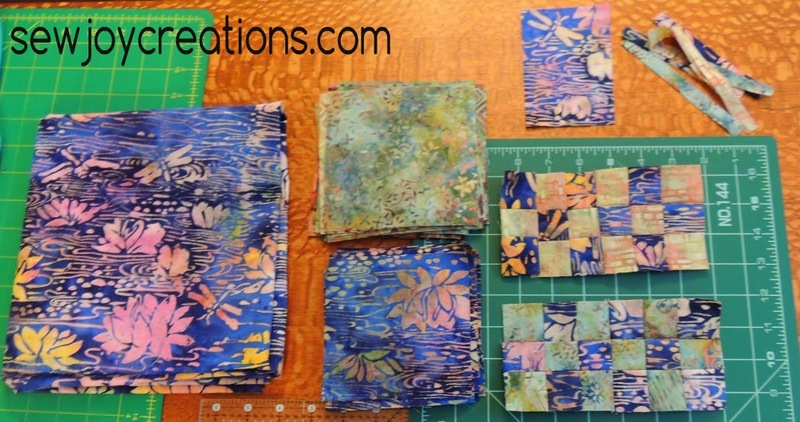 - from me about how to make happy quilts? 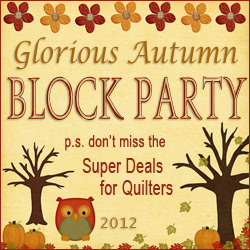 And by happy, I mean quilts that make YOU happy. 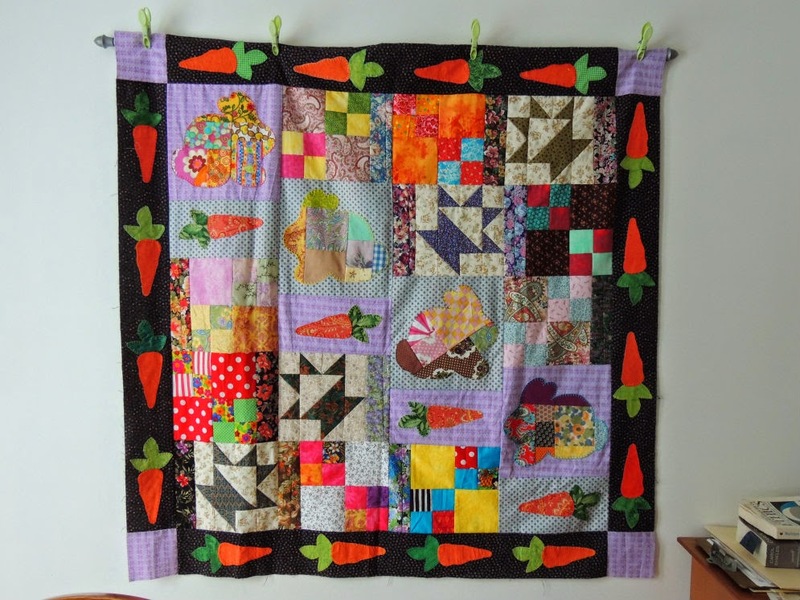 That's kind of the idea here - to combine theory and practice with fabric and play so you can build your confidence in choosing fabrics to make quilts that make YOU happy! What else do you think you would need in a course about quilts and colour? Such a beautiful blocks.Have a fun week! those tiny little 9 patches are so pretty. 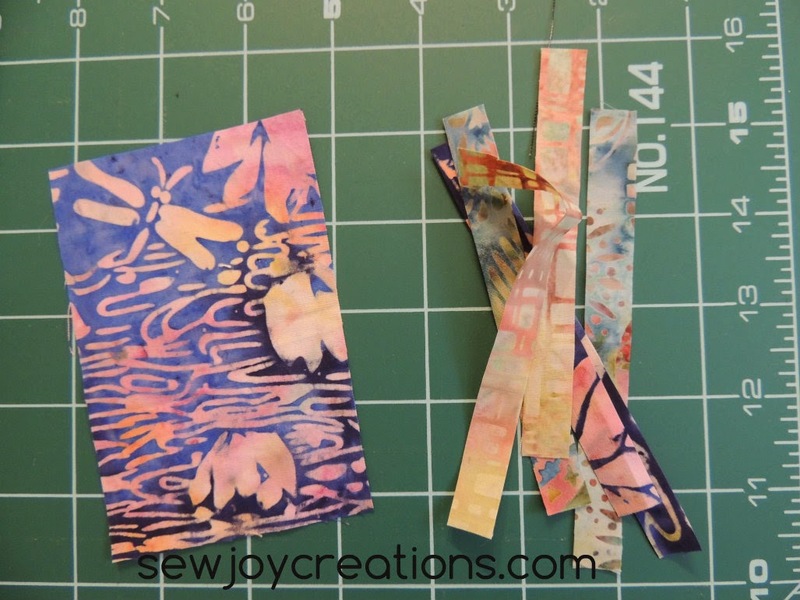 I love seeing how differen the fabric looks all cut up.